OROVILLE, Calif. (AP) An epic winter of rain and snow has refilled California's reservoirs and pressed into service a spillway at the nation's tallest dam on April 2, a $1 billion structure that drained excess water for the first time since it crumbled two years ago and drove hundreds of thousands to flee the threat of catastrophic flooding. 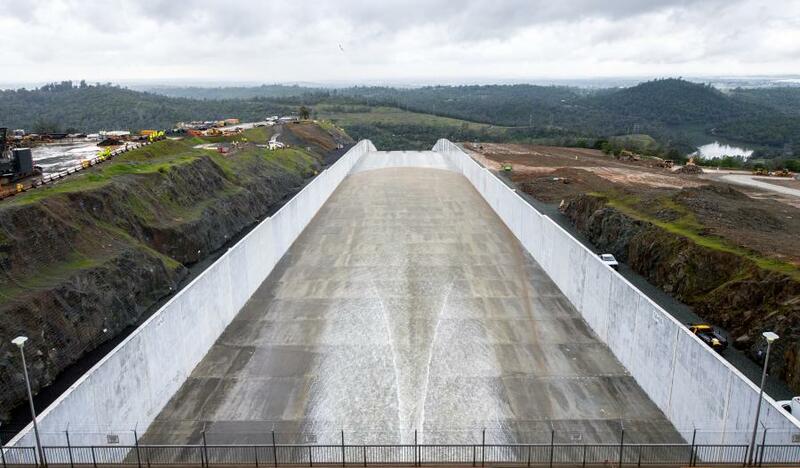 Water flowed down the spillway and into the Feather River as storms and melting snowpack are expected to swell the lake behind Oroville Dam in the foothills of the Sierra Nevada, said Molly White, principal engineer with the California Department of Water Resources. 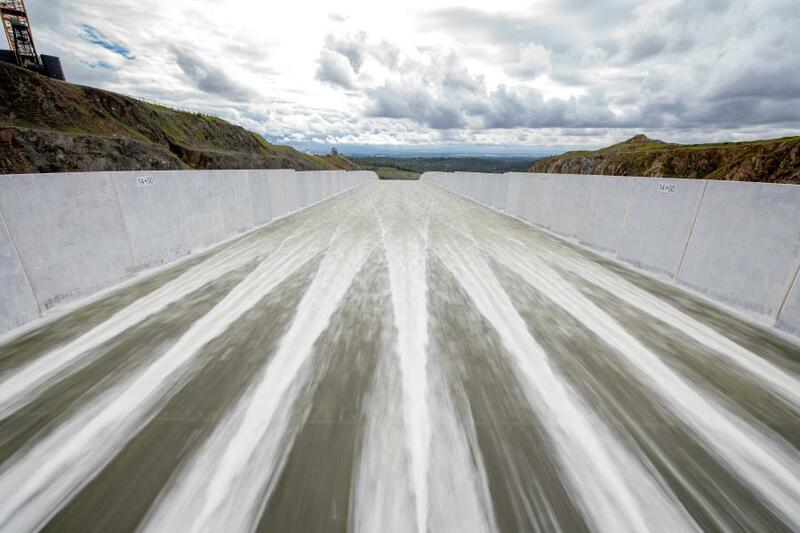 The spring storms follow a winter that coated the mountains with thick snowpack, which state experts measured on April 2 to determine the outlook for California's water supplies. It was 162 percent of average after heavy winter rain and snow left the state drought-free for the first time since December 2011. The measurement on a snowy day at Phillips Station near Lake Tahoe found a snow depth of 106.5 in. (287 cm) and a snow water equivalent of 51 in. (129.5 cm), which is the depth of water that theoretically would result if the entire snowpack melted instantaneously. 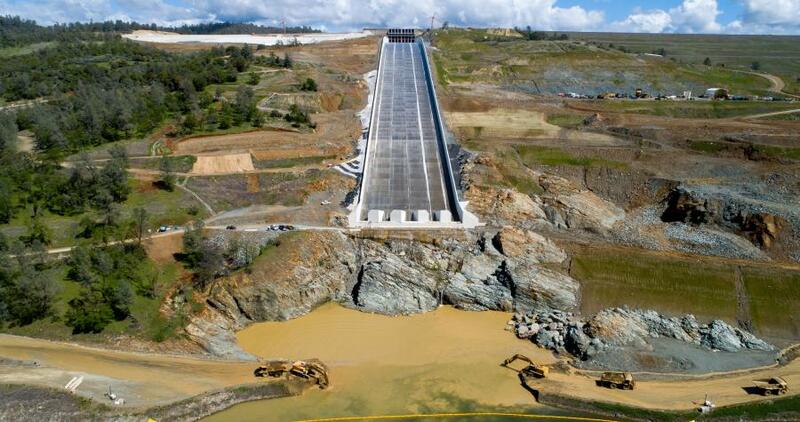 Officials opened Oroville Dam's main spillway because of the growing snowpack that will melt into California's waterways and expected storms, White said. The original spillway on the 770-ft.-high (235-m) dam, which is 150 mi. (241 km) northeast of San Francisco, was built in the 1960s. Repairs have cost $1.1 billion. California requested about $639 million from the Federal Emergency Management Agency for the fixes, but the federal government has rejected $306 million of those reimbursements. 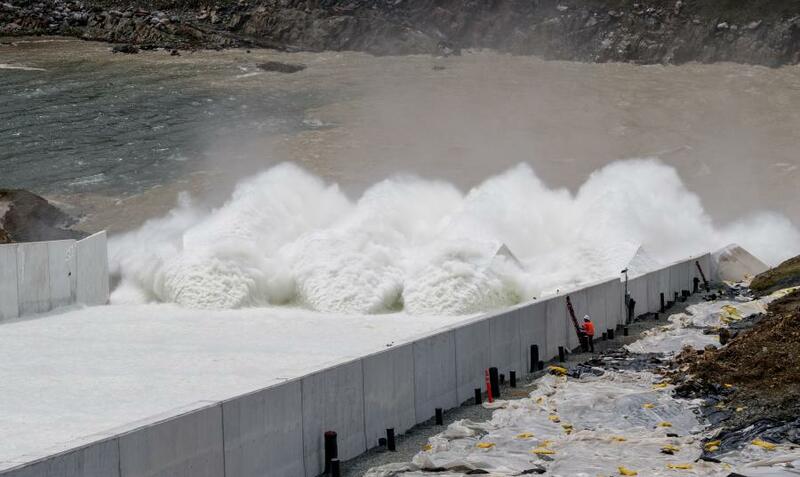 U.S. officials said the dam's upper gated spillway was damaged prior to the heavy rain two years ago.